There is a lot to Las Vegas and it's very spread out! Things to do, places to go, things to see. On this page we're going to give you a few helpful tips to help you navigate around our favorite city and make the best trip ever. We want you to arrive in Las Vegas with all of the information you need to the best use of your time. 1) Did you know that if you're at Mandalay Bay and you want to get to Excalibur, you have two different ways to get there-and none involve walking outside! When the Mandalay Bay-Luxor-Excalibur group was built, MGM put a monorail in, with the price of FREE, to help you get from one to the next. You can take a trip from Mandalay Bay to Luxor, and from Luxor to Excalibur, or reverse (There is also an Express from Mandalay Bay to Excalibur-or back). This is a great way to travel in air conditioned comfort and not wear yourself out early. The Express trams run about every 7 minutes. The service runs from 9:00 A.M. until 10:30 P.M. The three-stop tram runs from 11:00 A.M. to 10:30 P.M.
1.1) Another tram is Monte Carlo/City Center/Bellagio and it has the excellent price of FREE. Now, you can go from Monte Carlo, tour Crystals at City Center, or visit the Bellagio Conservatory and watch the Water Show while cutting down on the mileage you put on your feet. These trams run about every 7 minutes. The service runs from 8:00 A.M. to 4:00 A.M.
1.2) Finally there's the FREE tram from Treasure Island (TI), loading at the back of the property, to the Mirage hotel, which loads at the front of that property to the right of the cab stand - you can't miss it. These trams arrive about every 15 minutes. The service runs from 7:00 A.M. until 2:00 A.M.
3) Hotel Shuttle Services - Harrah's/Caesars and several off-strip properties offer a shuttle service that is free to hotel guests. South Point is the only hotel that will require you to pay for their non-airport service to the Strip, and we'll tell you on that link. 3.1) Rio to Bally's/Paris, or Harrah's. Shuttle service picks up by the Carnival World Buffet at Rio. Bally's pickup is at the entrance on the side of Flamingo Rd. Harrah's is at the Shuttle/Bus/Trolley drop off . Shuttle Service times can be found HERE. No luggage is allowed on these shuttles. 3.2) Sam's Town has a shuttle service for their guests to Harrah's on the Strip and Downtown to the Fremont/California. You can find a link to their shuttle page HERE, or the schedule can be found HERE. 3.3) South Point offers a complimentary Airport shuttle on a first come-first serve basis from Level Zero at Terminal 1. It will be a white shuttle vehicle with South Point logos on it. If you come in at Terminal 3, take the courtesy McCarran Airport shuttle from Terminal 3 to Terminal 1. The airport schedule can be found HERE. South Point also offers a scheduled shuttle to the Las Vegas Strip that is $8 per passenger (cash only) and you pay the driver. That buys you a round trip on the date of purchase only. You depart at the South Point Valet Entrance and can travel to Treasure Island (valet area), or to City Center/Aria (Tour Bus Lobby), or to Excalibur (at the Rotunda Entrance). Find the strip shuttle schedule HERE. 3.4) M Resort offers a complimentary shuttle for guests only to the airport and to the Tropicana. You can find the shuttle schedule HERE. It departs from Ground (Level) Zero at McCarren Airport to take you to the hotel. 3.5) GVR has 8 hotel to airport and 4 hotel to strip (arriving at Mandalay Bay) shuttles a day. Be sure and plan your strip trip carefully, although you do have a decent amount of time to get back before the next shuttle. You can find the link HERE, just click on Shuttle Schedule to get to the document. 3.6) Palace Station offers a shuttle to Fashion Show Mall Drive only. Find the page HERE, and click on Shuttle Schedule to get the most updated times. No pickup area is listed, so be sure and ask upon check-in. 3.7) Silverton offers a free shuttle that will take hotel guests to the Airport, the Grandview or to the Aria Resort & Casino. The Silverton - Airport shuttle pickup is located at Valet, which is located at the front entrance of the hotel. The Airport - Silverton pickup is at Level Zero. You can find the shuttle schedule HERE. 3.8) Orleans offers a shuttle to its sister property the Gold Coast Hotel and the Las Vegas Strip (The High Roller at the Linq-last pickup at 12:30 a.m.) operating 7 days a week from 9:00 a.m. to 12:30 a.m. and picks up guests every 30-45 minutes. You are picked up at the hotel's Tropicana Avenue entrance. Orleans does not offer a free airport shuttle, but they give you a list of shuttle services to contact on their site. The shuttle service page is HERE. 3.9) Red Rock Resort offers two shuttle services, one to/from McCarran Airport and the other to/from Fashion Show Mall. The shuttle for McCarran departures begins at 5:00 A.M., and depart every two hours, with the last shuttle departing for McCarran at 7:00 P.M. The shuttle to Red Rock departs McCarran departures begin at 6:00 A.M. and depart every two hours, with the last shuttle departing for Red Rock at 9:00 P.M. The Shuttle for Fashion Show Mall departs at 11:10 A.M., and every two hours after that with the last departure for Fashion Show Mall departing at 9:10 P.M. The shuttle back to Red Rock departs Fashion Show Mall at 11:40 A.M. and every two hours after that, with the last shuttle departing for Red Rock at 10:00 P.M. You can find the entire schedule HERE along with departure points. NOTE: you must present a room key to board the shuttle. 4) Maps - Some Casino Properties are massive! We've found a page that has Casino and Property Maps for Strip and Off-Strip locations. They also have maps toward the bottom of the page for the Monorail, shopping, and other places. All the maps are in JPEG and PDF format so you can print the ones you need. Find the page HERE and bookmark it. 5) Limousines - If you're looking for the one thing that will make your trip memorable, rent a limo. One service we hear good things about over and over again is Presidential Limousine service. We've never used them, but we just hear so many good things about them, that we just had to pass them along. The service uses Town Cars, Escalades, stretches, super stretches, party buses, whatever you desire. They even offer an airport specials that you can find HERE. 6) Las Vegas Monorail - The Las Vegas Monorail is in operation from 7:00 a.m. to midnight on Mondays. From 7:00 a.m. to 2:00 a.m. Tuesday-Thursday and until 3:00 a.m. Friday - Sunday. They offer a single day and multi-day (one to seven days) passes that you can purchase at their booths from 9:00 a.m. until 7:00 p.m. Before or after those hours you can purchase your tickets at the ticket vending machines. A list ofCustomer Service Booths can be found HERE, while a list of Vending Machine Locations is HERE. You can find discount coupons to save yourself a few dollars in some of the visitor magazines available to travelers. The stations are on the backside of most of the hotels they stop at, so you do have to walk a little extra to get to the stations. You can find an interactive map HERE to help you see the routes and stops the monorail makes. Please Note: We recently heard that you can buy monorail passes through places such as Tix4Tonight. Give them a look when you arrive to see if there is a good price. 7) Strip to Fremont Street - The Strip Downtown Express (SDX) can be better than using the Deuce as there are less stops, but you'll have to see which stop is closer to your hotel. See this LINK for the Deuce/SDX route map in a printable PDF file. The SDX stops are white circles. 8) Take LV Transit Express Bus to/from McCarran Airport Terminal 1 & 3 - A newly added route that will take you to/from Downtown or The Strip to McCarran for the bargain price of $2 (Single Ride, subject to change, check the site for updates). Routes run from around 5:00 A.M. to Midnight. Click HERE for a downloadable PDF document showing the CX and the WAX routes, times, prices, etc. 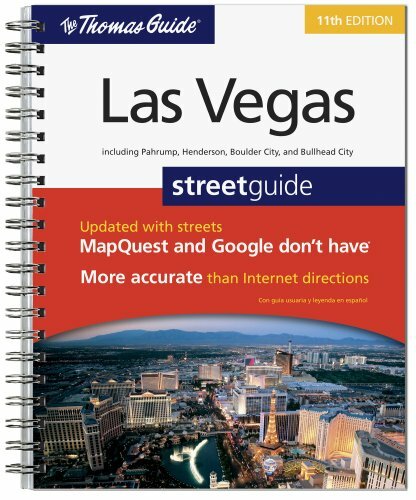 9) LV Transit Bus Ride Tracker - This site (for your mobile device!) is a GPS enabled mobile site that will give you accurate information about the arrival time of your bus. Go to RTCSNV.com, click on "Transit", click on "RideTracker", then enter the ID # of the stop you're at. Refresh your browser to see the progress of your bus getting to your stop. 10) A new free shuttle service will start motoring passengers around some downtown Las Vegas hot spots in late June, 2017 and will last for 6 months. — Bonneville Transit Center, 101 E. Bonneville Ave.
— The Arts District, Art Way and Boulder Avenue. — Pawn Plaza, Las Vegas Boulevard, south of Garces Avenue. — Fremont East Entertainment District, Las Vegas Boulevard, south of Fremont Street. — Mob Museum, 300 Stewart Ave.
— Fremont Street Experience, Main Street, south of Fremont Street. — Las Vegas North Premium Outlets, South Grand Central Parkway, near the Nautica store. 10:00 AM to 7:00 PM. Sunday.